Because you know I’m all about that base, about that base… No tremble! Hello dearest ones! Welcome to another episode of Back to Basics. Today’s guest is going to be the canvas which makes us look flawless. 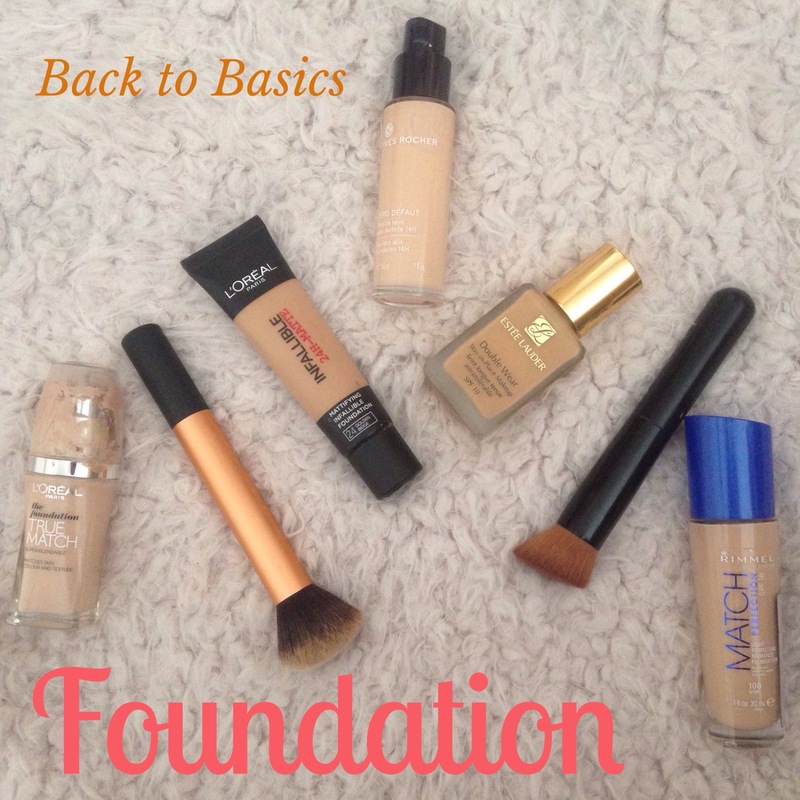 The makeup product which is the base of everything *drumrolls please*: Foundation! What is foundation? Like I said, foundation is the base of makeup, after your primer (primer is mostly a silicon based gel which smooths your face and covers obvious pores). It covers blemishes and evens out skin tone. Foundations are available in sheer, medium or full coverage, in liquid, cream or powder form, and can be oil based or water based. You should try to match your foundation to the type of skin you have, using it to compensate for either an oily or a dry complexion. When choosing a foundation color, select the shade that most closely matches the color of your skin. You can apply foundation with your fingers or sponge or a buffer/stippling/foundation brush. On a personal note, I find a beautyblender really good as it gives you an airbrushed look overall, though I use Real Techniques’ Buffer brush when I do not have time/patience to keep dabbing a sponge on my face. To set the foundation you can use a setting spray or a loose powder, which is usually translucent. There you go! Ready for another Back to Basics post?